As part of our Award spotlight, we're finding out what makes each of our shortlisted labs tick. This post highlights the members of Richard Oreffo's lab at University of Southampton (UK). The BJRG is multidisciplinary research group with clinical, life science and basic science fellows and students – the cross fertilization within the BJRG is the lifeblood of the research programs and desire to translate through to the clinic. Translational Skeletal Medicine – demonstrated the potential of skeletal stem cells to treat bone loss from bench to clinic; including treatment of 18 patients to date. To enable this activity we are actively engaged in clinical teaching and training in the University of Southampton, are active members of the Institute for Life Sciences (Joint PhD students and projects between mathematicians, biologists, chemists, engineers, bioengineers, physical scientists etc.). We are also active participants of Public Understanding of Science activities; we developed a Stem Cell Mountain with Winchester Science Park and Dr Nick Evans also hosts a science podcast called TheScienceShed with his friend Steve Lee and committees related to the Regenerative Medicine research (e.g. Tissue and Cell Engineering Society. These different forums allow cross fertilization and sharing of ideas and are actively encouraged within the BJRG. The BJRG has been part of a number of EU Framework grants (e.g. Biodesign) and UKRMP activities – This has enabled again cross-fertilization of ideas from groups in different EU labs (Sweden, Austria, etc.) and UK labs (UKRMP members). Additional encouragement to present at TERMIS EU (Tissue Engineering and Regenerative Medicine International Society) and TERMIS International (e.g. Boston) meetings, and ECTS (European Calcified Tissue Society) conferences, have dramatically aided many of our students and fellows. Dr Maria de Andres – leads the work, over the last seven years, on elucidating the key role of epigenetics, with a focus on cytokines, including nitric oxide, in Osteoarthritis. Hobbies: Travelling, music, painting. Dr Jonathan Dawson – leads his own research program on elucidating the function of clay-based nanomaterials on cell function and exciting potential in regenerative medicine – Jon is a recent EPSRC Advanced Research Fellow. Hobbies: Loves engaging the public with science and, in particular, debating in Christian student groups and churches the perceived conflict between science and religious belief. Jon has a young family with whom he enjoys cycling, camping and swimming. Dr Nicholas Evans – Associate Professor in Bioengineering, leads his own research program focused on application of a variety of nanodelivery strategies (liposomes etc.) in bone and skin repair as well as a strong focus on understanding the importance of wnt signalling in bone. Hobbies: Plays bass guitar and likes to go mountain biking in the dark. Plays piano badly, likes live music and enjoys a pint or two of real ale. Dr Janos Kanczler – Laboratory Manager and Sen Res Fellow - Drives research in angiogenesis and bone together with development of a range of in vivo skeletal models to aid skeletal regeneration combined with laboratory management of the BJRG. Hobbies: Cycling and football; including involvement in coaching a couple of youth football teams. Dr Stuart Lanham – leads research program in skeletal programming and provides unparalleled expertise in Computer Tomography across the skeletal research program of BJRG. Hobbies: Motor racing - previously held an International Motor Racing licence and DIY – completed a loft conversion, and restored a 1966 VW camper van! Dr Rahul Tare – Lecturer in Musculoskeletal Science and Bioengineering, leads his own research program focused on using human stem cells, tissue engineering and acoustofluidics to generate cartilage and examination of molecular regulation of skeletogenesis. Hobbies: Travelling and learning languages. Professor Richard Oreffo – Head of BJRG, has worked for almost three decades on skeletal cell biology, harnessing multidisciplinary strategies and multidisciplinary/interdisciplinary research approaches across the clinical, life science and basic science interface to enable translation of fundamental skeletal science through to the clinic for patient benefit. Hobbies: Travelling, cooking (makes probably the best baked cheesecake in the…) and trying to keep fit. 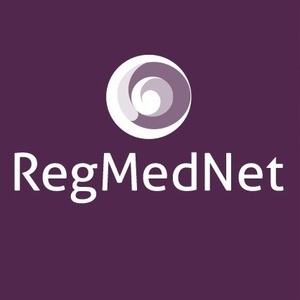 Why did you nominate yourself for the inaugural RegMedNet Award for Cultivating Excellence? The Bone and Joint Research Group (BJRG) provide a supportive environment to enable pre-doctoral and postdoctoral development, while undertaking leading science across the musculoskeletal space. Specifically PhD and postdoctoral fellows are actively encouraged to run with their own ideas after a period in the group and join relevant research societies– E.g. Tissue and Cell Engineering Society (TCES), Bone Research Society (BRS), British Orthopedic Research Society (BORS). Within the BJRG we have strongly supported FIRM ( Future Investigators in Regenerative Medicine) - over the last few years PhD students in the BJRG and Research Fellows have held key leadership roles in FIRM and the current FIRM conference 2017 (all organised by students) in Spain- has two PhD members from the Bone and Joint Research Group as leads. In 2016, ten members of the group attended and participated in FIRM. The BJRG is a large multidisciplinary research group of students and postdocs/fellows and Principal investigators working across the basic sciences, life science and clinical interfaces. Our approach is research excellence with a clear focus from fundamental science through to translation for patient benefit. The end goal to make a difference and improve regenerative approaches where possible is a personal driver translated to the group. Sharing our passion for science and engaging the public is an important component within the BJRG. Thus, the Bone and Joint Research Group are active participants in Public Understanding of Science. We (Dawson, Evans and Oreffo) developed a Stem Cell Mountain in partnership with Winchester Science Centre – The Stem Cell Mountain has been taken to over 30 Festivals (Glastonbury- Cheltenham, New Forest Show etc.) in the last four years; from the initial BBSRC GB Bioscience Festival in 2014 for which we were awarded funds to develop the Stem Cell Mountain. Recent approaches include development of augmented reality applications (Augmented Reality apps for phones and tablets) for our skeletal public engagement activities, which help to demonstrate our research through interactive engagement. All students and Research Fellows in the Bone and Joint Research Group have the opportunity to attend festivals and events and engage-enthuse the public! What is your lab’s proudest achievement to date? Translational bone regenerative medicine for patient benefit. The BJRG have provided a paradigm shift in the application of skeletal stem cells for patient benefit, moving from bench to clinic with the use of human skeletal stem cells with appropriate materials to create a living cell-scaffold composite to augment bone formation in avascular necrosis and bone cysts. The work on stem cell isolation strategies for future clinical application was recognized with a Medical Technology Innovation award and the Overall Grand Prix Award at the Engineer Technology and Innovation Awards in 2010. The work in the group has translated to 18 patients to date. What are your lab’s plans for the future (new research topics, new funding sources, new equipment etc.)? The BJRG look to continue to develop new approaches to skeletal regeneration, angiogenic development for tissue regeneration and new wound repair approaches. We are active participants in the new UK Regenerative Medicine Platform Program and application process and look forward to developments in this area in 2018 and beyond. We continue to prosecute new multidisciplinary strategies for nanodelivery of agents for skeletal and wound repair, skeletal cell isolation and characterization as well as development of translational programs for large scale musculoskeletal regeneration. Find out more about the labs in our shortlist here.